You see an advertisement in newspaper about an apartment that the developer is selling at INR 2500 per square feet with total advertised area 1200 square feet. You immediately calculate the cost as 1200 * 2500 = 30 lakhs. Wow, 30 lakhs is what you were looking for and is very well in your budget. You want to call the developer and book the flat as soon as possible. But wait, this is NOT the actual cost of the apartment. There are many other un-advertised costs which are hidden and are added over and above the advertised price. And yes, do NOT make the mistake of underestimating these costs as they normally make upto 20% of the advertised cost. This is actually the price which is advertised by developers and forms the main cost of your property. Pay a higher price if you want your property at a location which is preferred by most people. For e.g. a villa on the corner of road or a flat in first four floors of an apartment building are generally considered preferred location. The PLC charges are normally 4% of BSP. So, add 4% to to the total cost if you want a preferred location for yourself. This is the price charged by developer to lay down wires and cables from electricity consumption meter to the Apartment. This is pretty self explanatory. All projects residential or commercial are supposed to install fire safety devices and fire fighting equipment. These charges are paid direct to state government by the developer for developing the infrastructure for the project. The charges vary from state to state. These charges are again paid direct to state government by the developer for developing the external areas surrounding the project. The charges vary from state to state. Have you ever bought parking space in India? 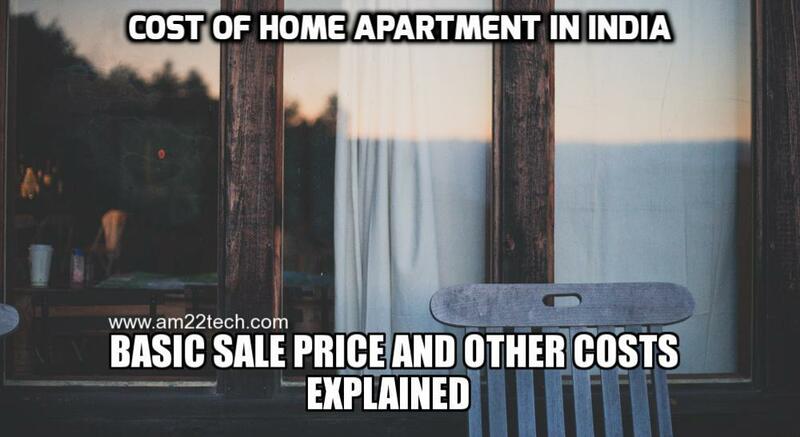 If this is the first time you are buying an apartment in a society, then this may come as a surprise to you. But this is a fact that developers do sell car parking space inside the society. There are generally two types of parking available. One is open parking and other is a covered one (in basement). The prices for both are also different. The open parking is cheaper than covered one. You need to purchase at least one parking with your apartment even if you don’t have a car to park!! Also, if you want you can buy both covered and open parking. This has become a common norm these days to create a club inside a society itself for recreational activities. Your society may or may not have this facility but if it has, it does NOT come FREE. You need to pay a price for it and it is NOT optional. Power failure may be an alien term in developed countries but India certainly needs a good power back-up. There are charges for setting up the power back up plant inside your society and keep your air conditioners running even when there is a power cut from state electricity board. Do not be under the impression that if you have paid the EEC and power back up charges, you are done with your electricity needs. EEC is an amount charged by developer only to set up the infrastructure for bringing electricity to your apartment. You will have to pay the actual application fees for installing the electricity meter and a connection to the electricity board of your state for actually getting electricity. Hmm…fed up of all the charges? How can we forget the most precious resource on earth? You would be required to pay for water facility set up in the complex too. The charges are paid to government and will vary according to your state. These charges are paid to state government for registering property on your name. This fees is charged as a percentage of the registered value of the property and varies from state to state. This is an absolute killer as far as buying a property is concerned. Government charges you GST tax (Earlier service tax was charged) on under-construction property at the current prevailing rate on the total cost of the apartment. There is ZERO GST tax on sale of complex/building and ready to move-in flats where sale takes place after issue of completion certificate. GST is applicable at the rate of 18% on sale of under construction property or ready to move-in flats where completion certificate has not been issued at the time of sale. Card rate for such flats is 18 per cent, but effective rate is 12 per cent after abatement of 33 per cent (cost of land). Affordable housing GST rate is 8%. Please note that all the charges are calculated on the basis of SUPER AREA and NOT BUILT UP AREA. As per industry standards, the difference between super area and built-up area is approximately 18-20%. i.e. while you pay the price for 1200 sq. ft. (super area), the actual built up area in your apartment would be somewhat 960 Sq. Ft. (1200 – 20% of 1200). PLC 1.2 Lakh 4% of BSP. You may or may NOT opt for a PLC location. EEC & FFEC 60k 1200 Sq. ft * Rs. 50 per Sq. ft.
EDC & IDC 1.2 Lakh 1200 Sq. ft. * Rs. 100 per Sq. ft. So, you can see yourself that the actual cost of the apartment is increased by Rs. 7 lakhs. Hence, the real rate is Rs. 3240 per Sq. Ft. instead of Rs. 2500 per Sq. ft. as advertised by developer. So, you should inquire about the above mentioned charges before paying the booking amount to avoid any surprises later. Also, if you are looking to get your dream home financed by a bank, please do account for the costs of procuring a home loan too. i am buying an under construction flat in chennai. i am charged club house fee which is not optional. can this club house fee be taken for purpose of calculation of income tax as i am buying the flat using from capital gain. Please check with the CA for the purpose of income tax. I am not aware of this. We have purchased our flat in March 2017 and builder has taken 2 years society maintenance in advance @1.25 paisa per square foot. Now he demanding retrospective charges of society maintenance @1.50 paisa per square foot. Does builder can charge retrospective charges of society maintenance? Please help me because I feel builder is cheating us or making us fool. Builder in India can do whatever they want. It does not matter if it is legal or not. I have been all this myself and the only way out is to create RWA and then negotiate. Going to court is going to drain all your energy and time and builder knows it pretty well. The above example does not seem to consider GST . Don’t know whether it’s because of that the price increase on base price does not seem to be much. I am saying because when we went to see a property yesterday, the base price was 28 lakh but the total cost was coming to 38 including GST but excluding registration. That is more than 12 lakhs, which is more than 40% of base cost. Is there a huge change in the example calculation required? I have not added GST in the example calculation yet. But, yes, it adds a hell lot of cost to the base price. It will eat a lot of your money. I have now added information about GST tax slabs in above article. GST is only charged on under-construction property and not ready-to-move-in real estate at this time. If you are buying a second hand property and the buyer had purchased it after paying GST, they will most probably try to recoever that cost form you too. So, negotiate hard based on current market rate. Wow, thank you so much! These are so helpful to people like me who know nothing about these and can be easily deceived. Do share the website with your friends if you think it is useful. Hi, I have booked flat in Jan 2015 of 1450 sqft & i paid 15% down payment initially and 80% financed through Bank. Please advise these charges are mandatory to pay. Before introducing GST, service tax was applicable of appx 3.9% and now GST charged 12% wonder. Also please advise GST will applicable on remaining 5%. Yes, GST is applicable on all charges on property under construction. Keep paying more taxes to government is the mantra! Hi Anil, Thank you for your quick reply. Govt is killing us, from 3.9% to 12% in form of GST. I thought GST will give some reliability. I can understand. 12% is a HUGE tax especially on property when you have to pay state government’s stamp duty too at the time property registration. I personally believe that GST on under construction property value is not good. Sorry but, I neither share my number nor I call. If you have any questions, you can write them here and I will respond to the best of my knowledge. Oh Thats all right Anil. Will surely write if i come across with any query. Thanks a lot for your time. Have a good night! Hi I just joined the forum as I read below that builder cannot charge for car parking. Is there a law or judgement to support the claim? Yes, there is a law that builder cannot sell the open parking space. But, is usually not followed. If you try to contest it, you may have to spend more time running through courts. All other charges are probably what you will have to pay too if you just want to sign and keep moving. Each extra charge is just an icing on cake for builder and it is difficult to contest it. PLC = Preferential location charge, you pay it if you choose a location that’s premium like pool facing or park facing or closer to society main gate etc. ST: Not sure what it is. Can you share full form? If it is service Tax, then yes, it is payable. VAT: I assume this is ‘Value addition Tax’. yes, it is payable. RMFS: Not sure what’s full form. Please elaborate. I have a plot of 2800 sq.ft. in Baner, Pune and want to build an apartment of 4 storeys (2 flats per floor), then what will be the estimated cost of constructing such building including all the stamp duties, taxes, etc and each flat can be of how much sq.ft. 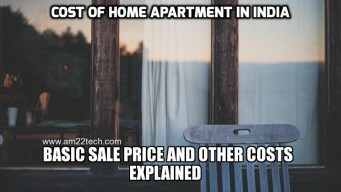 (if 2BHK) ? Sorry Shivam, I do not have idea about construction costs. It is out of scope of this article. I have a rather different query. I plan to sell an apartment. I am trying to calculate the current value of the property and the capital gain tax. While buying this property the agreement was made of 50 Lacs. I have the registered agreement as per the law. Apart from this, I paid 2 lacs extra to the builder for Development charges, Club house charges, service tax on development charges, service tax on club house charges, service tax on Ad hoc maintentance. Builder had provided me a separate bill for this but this 2 lacs is not included in the sales agreement. My query is: what would be the cost of acquisition? Is it 50 lacs or 52 lacs? I am not really sure about this scenario. I would suggest to consult a property lawyer. I think this is for underconstruction property…..Is it possible to provide details for Completed / Old property(Flats) ? In case of completed property, you won’t see the break-up but all the above costs would still be payable. The seller will generally quote a fixed amount + registration charges are extra. The monthly maintenance is charged per month along with any RWA (resident welfare association) deposit charges.